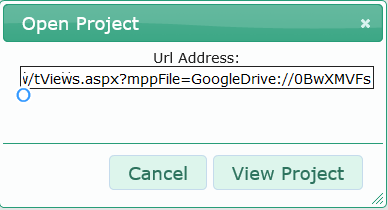 Now that the folder is shared on cloud with the rest of team members, Project Manager can use Project Plan 365 to generate a share link for the file(s) he will collaborate from now on with his team. Therefore Project Manager can choose to use the Share Link option to send the share link to the team members or to use the Email Link option to send them the link in an email. 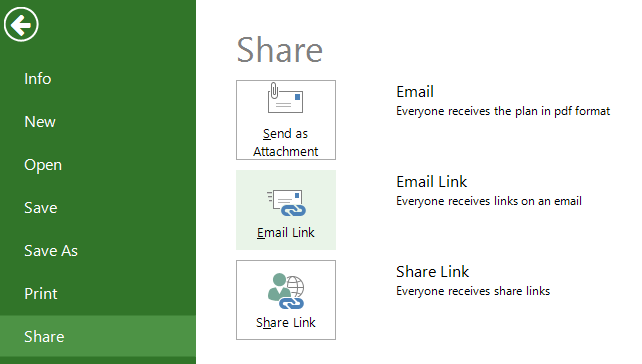 With Share Link option you can get a link to your project saved on Dropbox, OneDrive, Google Drive, Box, BaseCamp or SharePoint Online to manually share it with your team, whilst with Email Link option you can send an email to the team members of your choice with a link to your project saved on Dropbox, OneDrive, Google Drive, Box, BaseCamp or SharePoint Online. The email also offers the possibility to view the project on a small screen phone device. The share link that Team Member receives in his email or chat window can be accessed from any device (PC, laptop, tablet, phone, etc.) using Project Plan 365 in View mode. Viewing and updating the project require authentication on the cloud platforms or SharePoint, respectively, and permissions need to be granted there, otherwise the application will warn the team members that they do not have enough rights to view / update the .mpp file. 2. Use the Email Link option and enter email addresses of two of your team members to send them an email with the link to the shared file. An Outlook window will be opened. Enter the email address to a person which wasn't added as collaborator on the shared file/folder on cloud. Will be that person able to view the shared file? 3. Aside from clicking on a share link received in an email or chat window, a Team Member can copy and paste it in the text field corresponding to Open from URL method, available under File menu (File → Open → URL option). 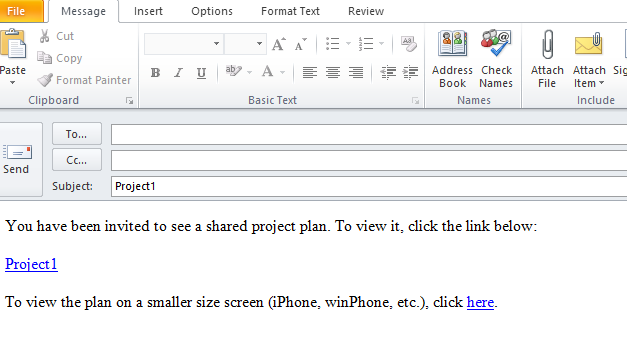 This will allow to view the shared project plan, like in the case you would click on the shared link received in a chat window or email message.